This Lower Manhattan neighborhood covers approximately two square miles between Broadway and Essex Street, with its center residing at the intersection of Canal Street and Bowery. The largest Chinatown in the United States, it also has one of the densest Chinese immigrant populations in the West, and is one of the few Chinatowns that is simultaneously residential and commercial. Hundreds of Asian markets, restaurants, and small family businesses create a distinct cultural enclave that has outlasted many of New York’s other immigrant neighborhoods. Office space in Chinatown is appealing not only because of its convenient Lower Manhattan location and affordable prices but also because of its place within a vibrant community with a strong cultural identity. Businesses seeking a prime Lower Manhattan location with asking rents lower than the city average of $72 per square foot should consider office space in Chinatown. Despite neighboring some of the more expensive districts like Tribeca, Hudson Square, and SoHo, the average Chinatown office lease comes out to only $55 per square foot. Access to the Canal Street Subway station, which provides convenient transportation around the city, is an added perk. Chinatown office space fulfills all the main desires for working in Manhattan: affordable prices lower than the city average, multiple commuting options, highly walkable with park space, and a delicious food scene. The neighborhood has long been a hub for independent pharmacies, restaurants, and tourism industries as well as accountants, attorneys, real estate agents, social services, and doctors that serve an immigrant client-base. 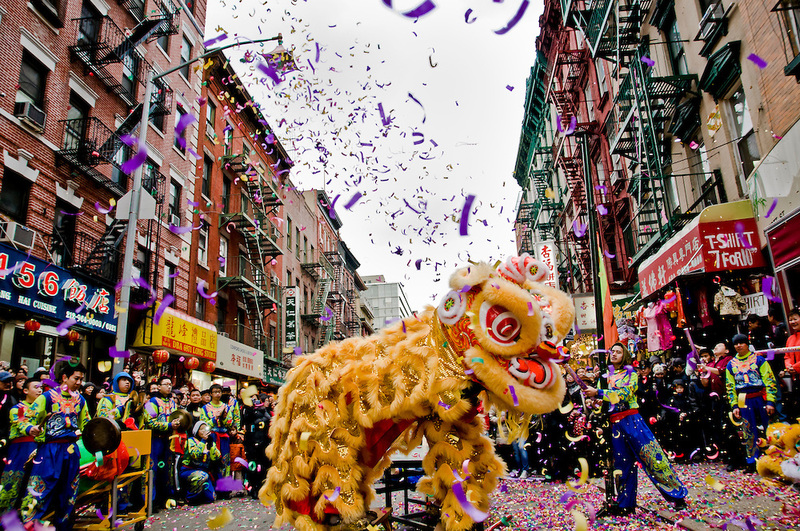 The tech, finance, and banking sectors continue to expand in Chinatown. Chinatown’s borders envelop the New York City Civil Court and the New York County Criminal Court, Family Court, and District Attorney’s Office in the southwest corner. The multiple courthouses in and around Chinatown make the neighborhood ideal for public administration offices. Due to its central location and more affordable housing, Chinatown has a growing population of students and post-grads from nearby universities including NYU, Pace, and St. John’s. Companies in the area benefit from this young talent pool, while also attracting Brooklyn residents, who may easily commute from the neighboring borough by train, or may even choose to bike across the Manhattan Bridge. Recently acquired commercial tenants include the creative agency Gin Lane and pet-accessory powerhouse Barkbox, along with tech-based companies Rockerbox, MoneyGram, Givkwik, MKTG, and Liirn. 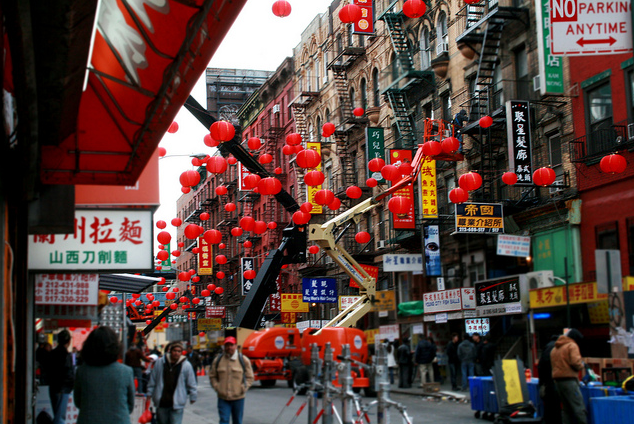 Walk Score lists Chinatown among the top ten most walkable neighborhoods in New York City. With the influx of tourists during the day, the neighborhood experiences heavy foot traffic. Most residents walk or take a taxi to work. For those who live outside Chinatown, there are numerous options for commuting to work. The B and D trains stop at the Grand Street Station at Chinatown’s north border, while the 4, 6, J, M, Z, N, Q, R, and W trains pass through the Canal Street Station on the west side of Chinatown. Seven bus routes service the area. Walkers, bikers, and joggers can take advantage of the Manhattan Bridge to commute from Brooklyn, or the East River Greenway along FDR Drive when commuting from neighborhoods to the north or south. In the late 1850s, Chinese businessman Ah Ken moved permanently to the area known today as Chinatown. His eventual cigar shop on Park Row served as the beginnings of a cigar-centric industry in the district. Chinese immigration was heavily restricted in the late 19th and early 20th centuries; once these discriminatory restrictions were lifted in the mid-20th century and immigration quotas were banned, however, the neighborhood saw a pronounced increase in Chinese and Taiwanese immigrants. In recent years, much of Manhattan’s Chinese population has migrated to the outer boroughs—namely, the Flushing and Elmhurst Chinatowns in Queens, and the Brooklyn Chinatowns in Sunset Park, Bensonhurst, and Avenue U in Sheepshead Bay. In 2010, Chinatown became a historic district along with Little Italy. The neighborhood is filled with local attractions including Chatham Square, the Museum of Chinese in America, and the Mahayana Buddhist Temple. Other notable landmarks include the Church of Transfiguration, a historic Catholic parish on Mott Street, and Confucius plaza at Division St. and Bowery. Columbus Park, Collect Pond Park, and Hester Street Playground are among favorite outdoor community gathering spaces in the neighborhood. Chinatown’s well-established restaurant culture is known today for its abundance of authentic and inexpensive Chinese, bánh mì, dim sum, bubble teas, and food markets. Aside from restaurants, Chinatown is home to a multitude of produce shops, fish markets, jewlers, street vendors, and garment factories. Our team recommends Chinatown’s oldest dim-sum restaurant Nom Wah Tea Parlor, Bánh Mì Saigon Bakery, Mission Chinese, New York Noodletown, and 456 Shanghai Cuisine. For more options of what to see, do, and eat, check out our Best of Chinatown guide. Nearby neighborhoods include Little Italy, Hudson Square, the Lower East Side, Tribeca, and the Financial District.